Here are a few suggestions for your stay, this is only a tiny taste of what the region has to offer and more information will be provided on site. 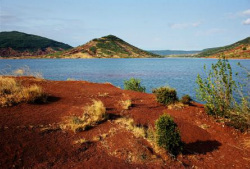 The beautiful Lac Du Salagou surrounded by the red earth of the region. Wonderful for mountain biking, sailing and picnics, there are many different faces to this lake from the popular "beach area" with its BBQ's and boats to hire to the abandoned village of Celles. It's up to you to find your favourite spot ! St Guilhem Le Désert , a UNESCO protected site, a must see. Follow the Hérault river through it's picturesque gorges and have lunch in this tiny but beautiful village. Lodève with it's stunning cathedral and bustling Saturday market. 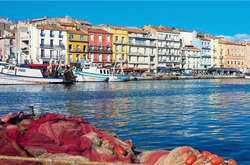 Sete is a fishing village on the coast famous for its seafood. There are oyster farms all along the coast and people come from all over the world to sample them. 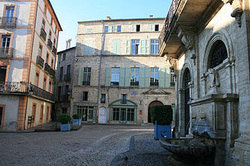 Another "must visit" , a wonderful town where Molière spent a lot of his time. There is an amazing Jewish ghetto and some superb architecture. Great restaurants too!